Is your employment contingent on how much power and control your abuser gets to have? There are abusive bosses out there—tyrannical leaders who make your work life a living hell through a series of impossibly high standards, unrelenting demands and a penchant for yelling. And then there are bosses who are also abusers—individuals who are in an intimate relationship with one of their employees who may have two very different sides to them. At work, they could be the picture of professionalism. They assertively lead a team or a company and garner success while doing so. At home, with you, they are controlling, mean, degrading, manipulative or violent. You want to get out, but you’ve either been told, or you suspect, that your employment status hinges on whether or not you’re with this person, and allow him (or her) to control you as they see fit. And, without a job, you don’t know how you’ll make it on your own. You’re in between a rock and hard place. But before you give up hope, know that there is always a solution. Abusers may be smart, but you can be smarter. After all, #TimesUp, right? It’s wisest to first consult with a domestic violence advocate. They are trained to help survivors navigate tricky situations like this and will help you set up a plan for your safety. If you’re ready to leave your abuser, you want to conceive of every possible scenario—how will you leave, or get him to leave, without increasing the violence? Where will you go? Who can you rely on for support? To help secure your job, it’s important to first understand if your abuser really has the power to fire you, or is just threatening that he does (not shockingly, abusers have been known to exaggerate their power). In the case of a family business, let’s say one that is owned or run by your partner and of which you are not a formal employee—you don’t get a paycheck, but you are supported by the business’ income and help run part of the business—then a divorce proceeding will consider your contributions when equitable distribution is determined. She suggests first getting a temporary order of protection to get the abuser out of the home. “You can also get a temporary order of support from the court,” says Erickson, which will help you financially during the separation process. If you work “on the books” for the company—you receive a paycheck like any other employee—and separating from your abuser means he (or she) fires you, then you can apply for unemployment benefits while you go through the divorce proceedings or consider other options, which might include suing for wrongful termination. It is illegal to fire someone as a form of retaliation, but that this can be challenging, though not impossible, to prove. On that note, make sure you document the abuse well and keep those records in a safe place where the abuser cannot find them. 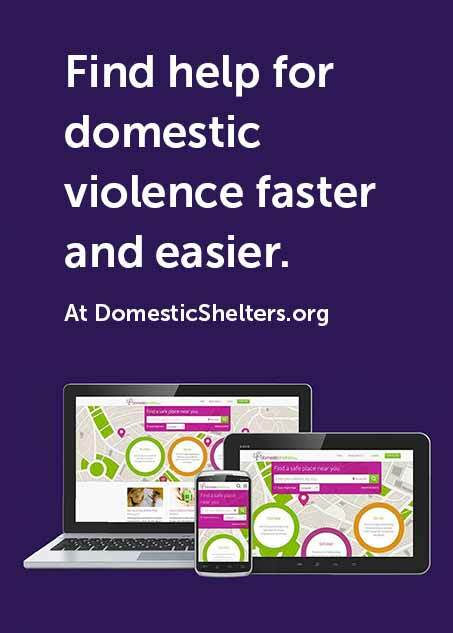 (Here is a list of apps that can help you document the abuse.) You should reach out to an attorney for advice on taking legal action. What if your abuser doesn’t have the power to fire you, but continually threatens to get you fired, or harasses you in other ways at your shared place of employment? Beyond obtaining an order of protection, Erickson says the next step would be to approach the abuser’s supervisor and try to work something out. “Maybe one of you can move to another job in the company, or another branch. They don’t necessarily have to tell him it’s because of the abuse complaints,” she says, as a way to protect the survivor from further retaliation. There could be any number of reasons they might have to relocate him, she says. Or, they might fire him, says Erickson, depending on the severity of the abuse and how much it is interfering with your work, as well as your safety and the safety of other employees. If you can’t get help from the company, you can also file a complaint with the U.S. Equal Employment Opportunity Commission (EEOC). Complaints of employee discrimination can be filed up to 180 days after an event occurred (in some states, up to 300 days). Your workplace needs to have more than 50 employees to do this, however. Erickson says she hopes the #TimesUp movement will propel companies to move quicker on issues like domestic violence where they may have previously tried to sweep it under the rug. The movement, which launched in January of this year, brings together some 300 women in Hollywood who aim to end systemic sexual harassment not just in the entertainment industry, but in all workplaces. Those involved are working toward legislation that will penalize companies that tolerate harassment or silence victims of abuse. They hope to raise $15 million to also create a legal defense arm of the National Women’s Law Center’s Legal Network for Gender Equity that will connect victims of harassment with legal representation. “The good thing about this is that the movement has money. Domestic violence programs work on grants, and they may not get a grant one year. If you have an organization that has lots of money, it’s really a few steps ahead,” says Erickson. Maybe, after enduring and surviving abuse, you determine it’s time to move on to a new job anyhow. Read “Starting Fresh With a Career Swap” for tips on how to go for the job you want.